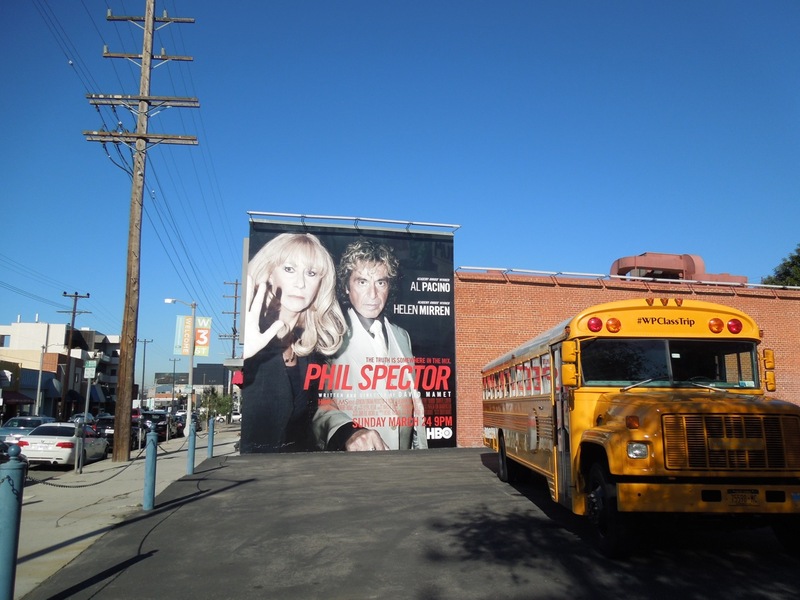 When Daily Billboard first saw this creative from afar it looked like an actual paparazzi photograph from back in the day, so kudos to the talent involved for creating that sense of authenticity. 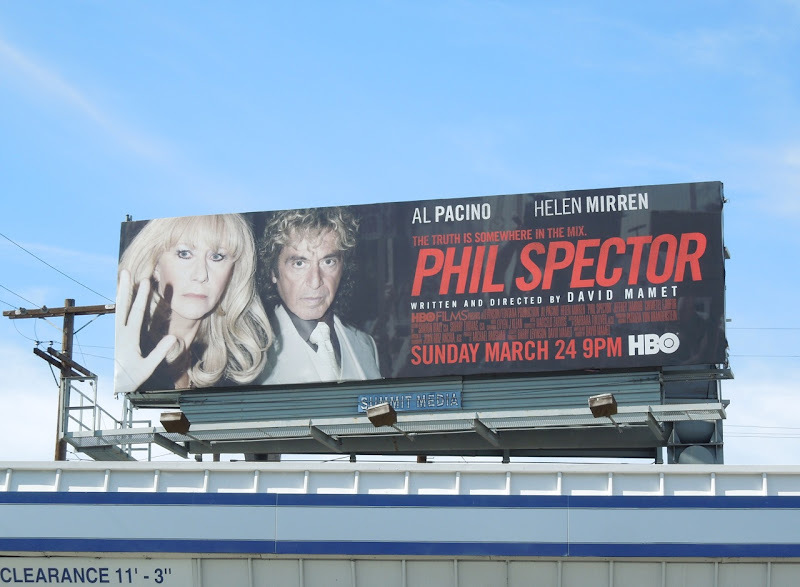 In fact it's not until you take a closer look that you realise that's Al Pacino as legendary music producer 'Phil Spector' and Helen Mirren as his defense attorney 'Linda Kenney Baden'. 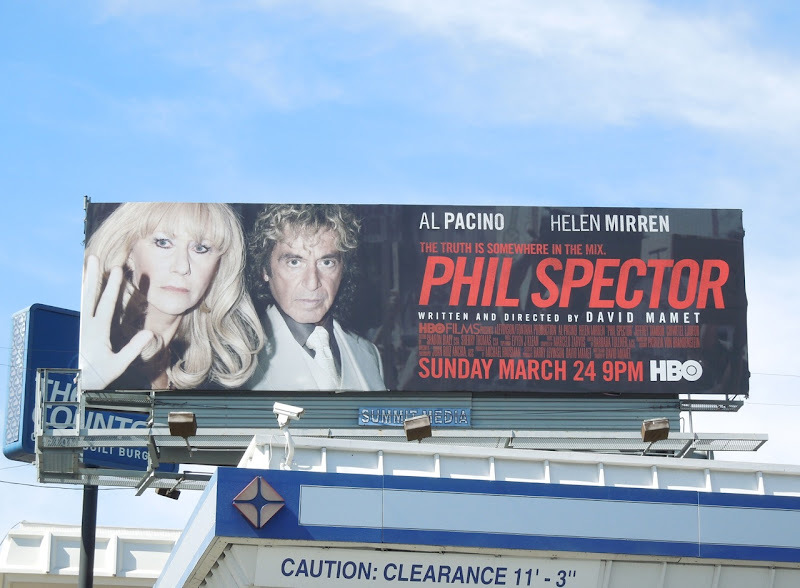 This new HBO film explores the client-attorney relationship between the two when she defended Spector during his first trial for murder. 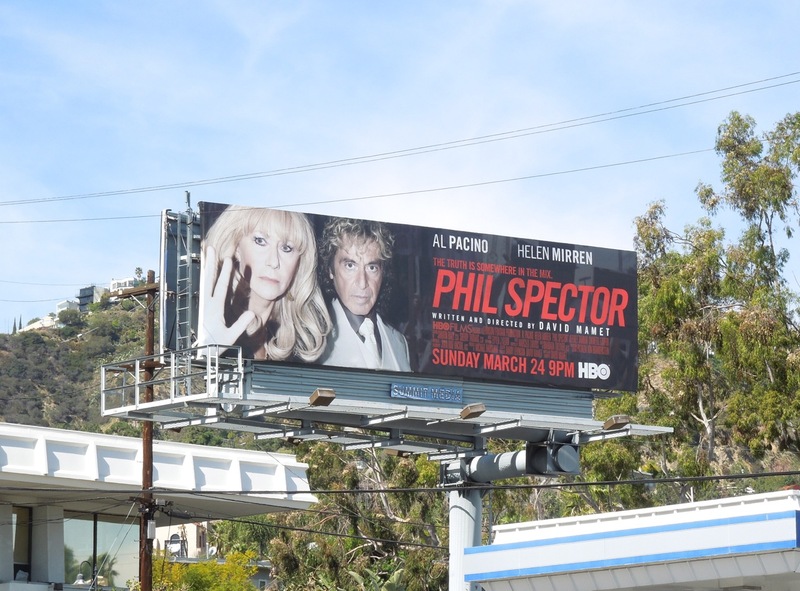 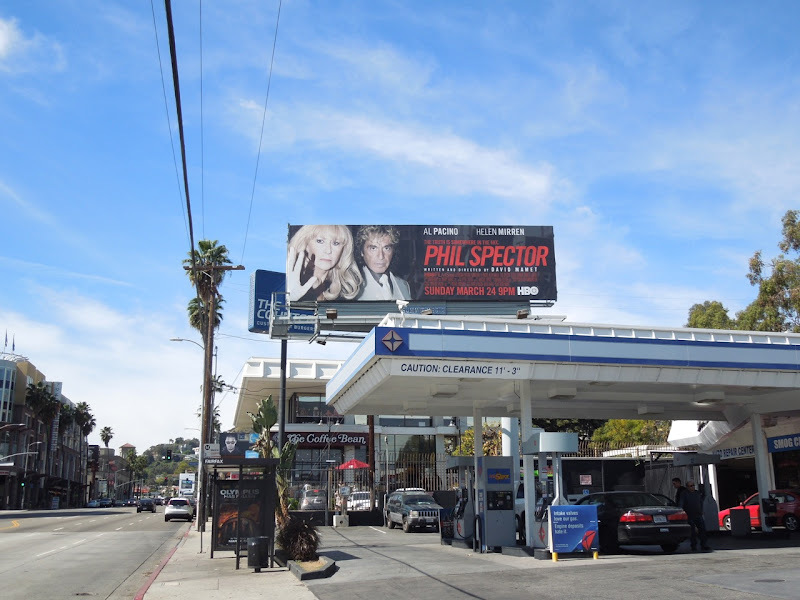 This Phil Spector billboard was snapped along Sunset Boulevard at Fairfax Avenue on March 2, 2013. 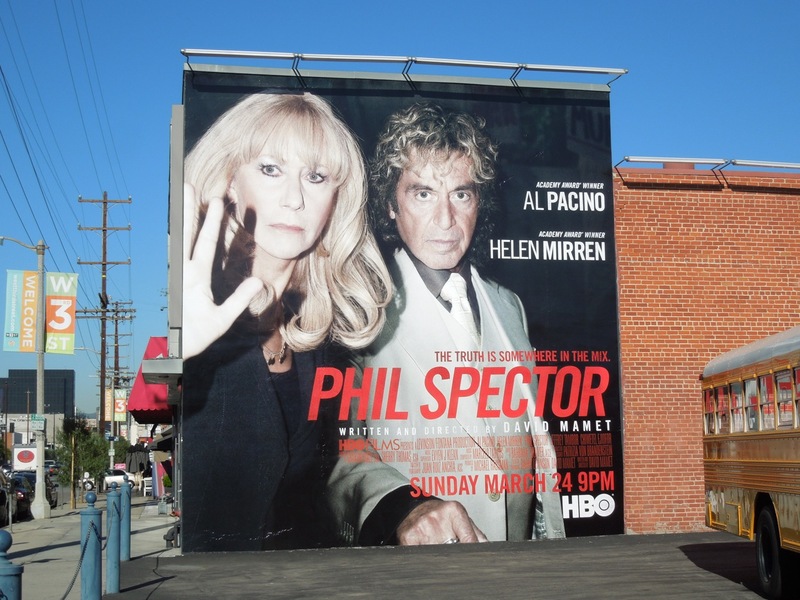 UPDATED: Daily Billboard also spied these other formats for the HBO biopic on March 11, 2013. 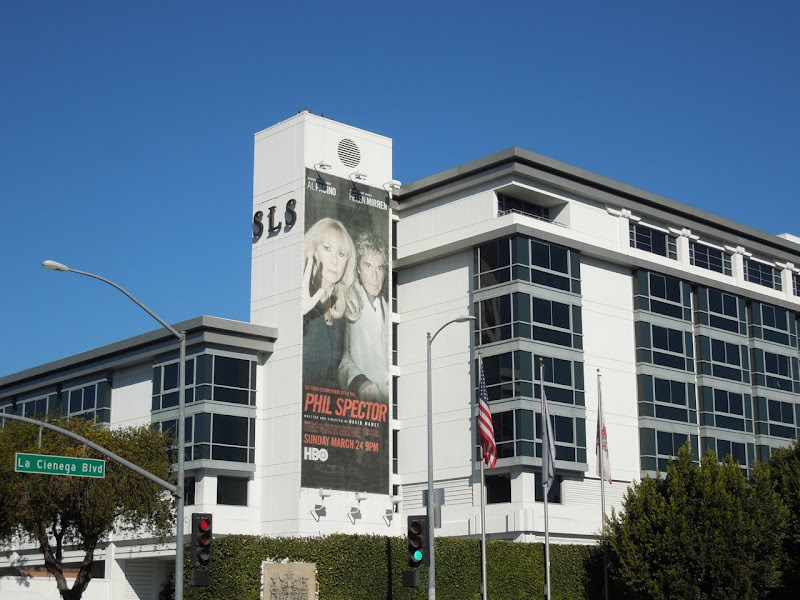 The striking wall mural version was snapped along 3rd Street, whilst the taller creative was snapped on the side of the SLS Beverly Hills Hotel along La Cienega Boulevard.